Three things that are making me smile today. My daisies are in full bloom. 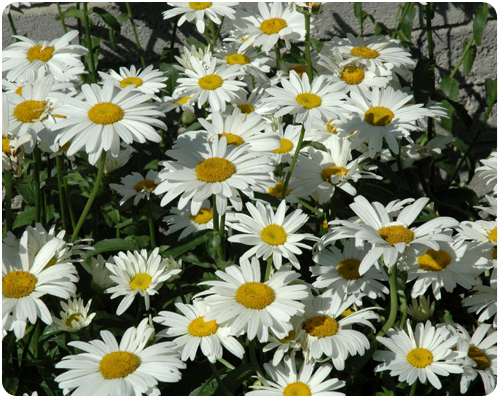 My Oma planted these daisies from seed over 45 years ago and they have been split up and planted in our family's gardens ever since. 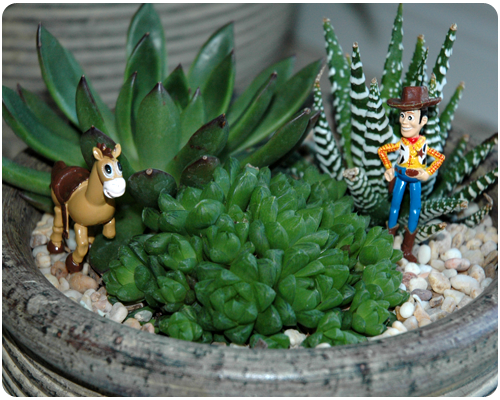 Last week I planted a succulent garden and this past weekend I added a few little friends from the girls' toy box. Cute, eh? 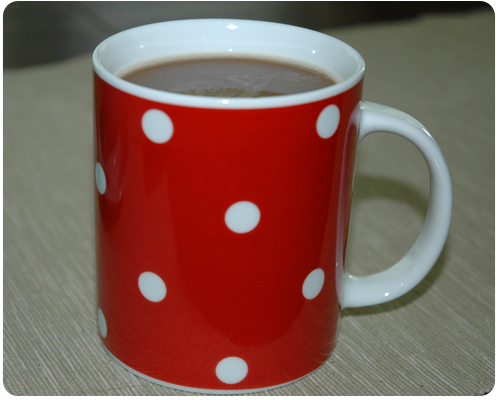 Coffee in my polka dot mug, time to relax and regroup after a busy last week and weekend. Flowers make me smile too! Thanks for stopping by Tammy. Thanks for visiting LuAnne and for following along. Today my most happy thing is to have two more days at work, and then having almost three weeks summer holidays!! Allthought, all little things, like coffee on my way to work, little refreshing rain etc. makes me smile too today! I know what you mean. I have only a handful of work days left and then I have almost a month of summer holidays. I can not wait. But right now my coffee and the sunshine are making me smile. Thanks for stopping by. Today I have my two granddaughters here together for the day, ages 8 and 2. I am smiling now but will be exhausted later! Visiting you from Bouquet of Talent Linky Party and following via GFC! 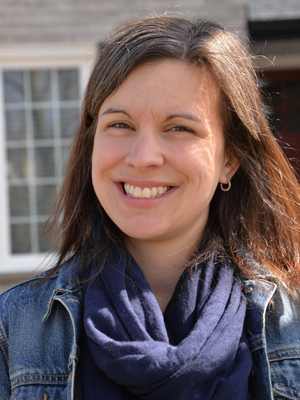 AnnMarie, thanks so much for visiting and for following along. Enjoy your granddaughters and keep smiling. My granddaughters always make me smile. My mom says the same thing about my girls. Thanks for reading. The Garden Patch Granny Afghan: It's Finished!